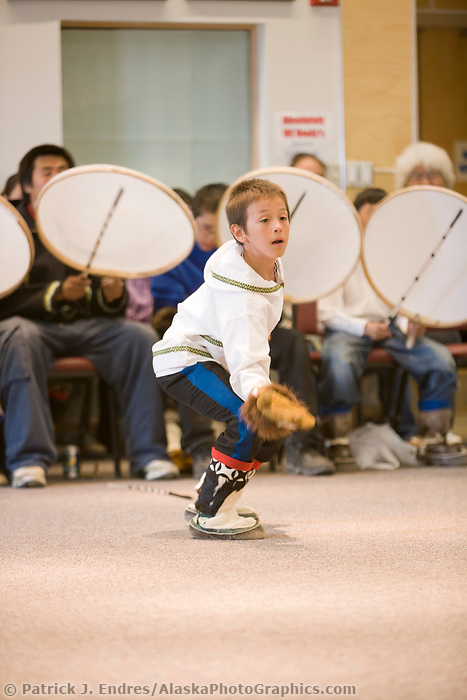 Native Inupiaq dancers perform for tourists in Barrow, Alaska. Restrictions: Special permission required for commercial license. Please contact us with your interest.